And since this was the first time at DFW in…well…seems like forever, I also wanted to explore a bit. But you know what? It looked exactly like I remembered it from the last time. Seriously – walking into this airport was like taking a trip straight back to the late 1990’s. The air train sections are new (and nice) though, so there is that. Boarding was called right on time, and I was aboard within minutes. It was a totally uneventful flight, so I’m not going to bore you with the details. 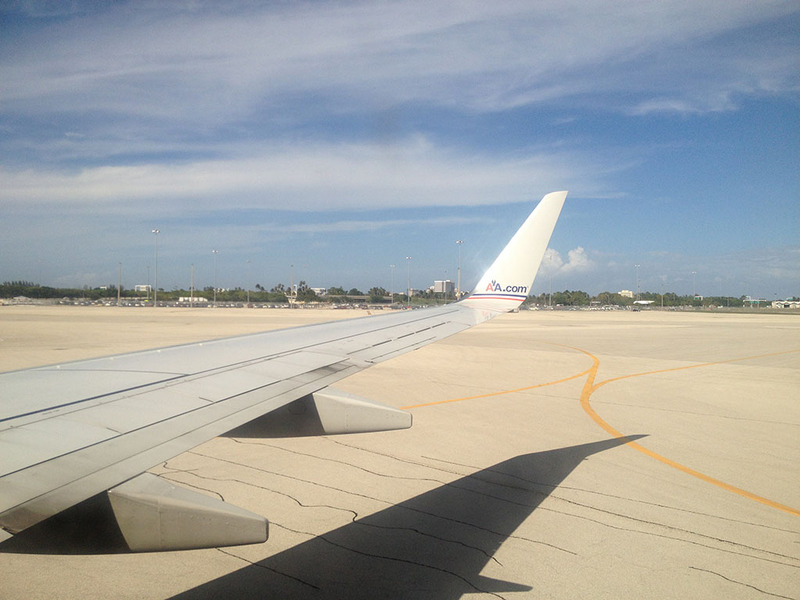 I will say, however, that flying into PBI is always like coming “home” to me since my parents live in West Palm Beach. I’ve flown in an out of there countless times over the past 10 years, and this time was just like any other. Big puffy clouds on the approach, and oppressive heat upon landing. Welcome to south Florida!